The world we live in is filled with rival stories of what human flourishing looks like and how it might be attained. These stories inform cultural practices which are fundamentally liturgical. 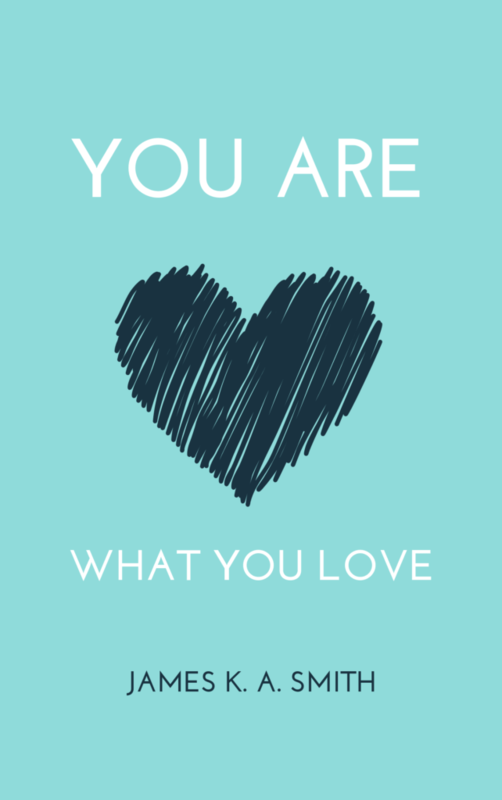 Every day we are being taught to love different things, to love rival gods instead of the One for whom we were made. Christian worship is therefore vital for our re-formation as the “imagination station” which embeds us in the story of God’s dealings with his Creation and “re-stor(i)es” us. As we worship together as Christians, God meets us and recalibrates our hearts toward him so that our cultural endeavors(our work, our families, our education, our everything) can be pointed towards God and his kingdom. This is why corporate worship must be at the very center of the Christian life, forming us and discipling us to be more like Christ. This book encourages a high view of corporate worship and gratitude for the sometimes alien-feeling traditions passed down through the centuries. James K. A. Smith is a professor of Philosophy at Calvin College in Grand Rapids, Michigan. He stands in the Augustinian tradition of theological cultural critique, aiming to think critically about church practices and the church’s engagement with and witness to culture. His focus has specifically been the identification and analysis of ‘cultural liturgies’. He has written numerous books, including the ‘Cultural Liturgies’ Trilogy, Desiring the Kingdom, Imagining the Kingdom and Awaiting the King as well as Who’s Afraid of Relativism? And Who’s Afraid of Postmodernism? 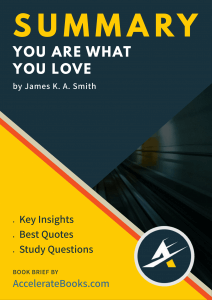 You Are What You Love arose in response to numerous requests from pastors and leaders for Smith to provide a more accessible version of the ideas arising in his Cultural Liturgies series. As we worship together as Christians, God meets us and recalibrates our hearts toward him so that our cultural endeavours (our work, our families, our education, our everything) can be pointed towards God and his kingdom.